Broadly speaking life is pretty sweet for Malcolm Turnbull, Australia’s shadow minister for communications and broadband. He has a reported A$200m in the bank, lives in Sydney’s exclusive harbour-side suburb of Point Piper, has a country retreat in the scenic Hunter Valley, three boats, a successful grown family and even a couple of nice dogs. However, on other days such as June 13th he must wonder why he bothers with life at all. For non-Australian readers, here’s a quick fill-in; since Turnbull was appointed shadow minister for communications and broadband in September 2010 he has painstakingly managed to turn around the (Conservative) opposition broadband policy from being hide-behind-the-sofa cringe worthy to being one met with approval by many telecom professionals – although not by some National Broadband Network (NBN) hungry locals. In short, he has moved the Coalition away from proclaiming that 4G would represent an effective way to deliver residential broadband services – as his predecessor Tony Smith did in the 2010 federal election – towards a position where the Coalition plans to use existing infrastructure to deploy a mixture of FTTN and upgraded HFC in ‘brown field’ areas and FTTH in Greenfield sites. It’s taken time, patience and a whole bunch of public persuasion to get the Coalition taken seriously again on its broadband policy but then out of a clear blue sky on June 13th, like the beach bully who walks through your meticulously constructed sand castle, shadow treasurer Joe Hockey went on radio in Tasmania and managed to seriously damage months of Turnbull’s hard graft. In an interview on Australian Broadcasting Corporation local radio Hockey spruiked the benefits of deploying LTE as a residential broadband service, arguing that many homes would not need the 100Mbps connection provided by the A$43 billion state-owned National Broadband Network. “Part of the [NBN-Telstra] deal identified that Telstra was not allowed to sell its new 4G technology as a competitor to the NBN because 4G has the capacity to be far superior to the NBN,” said Hockey. 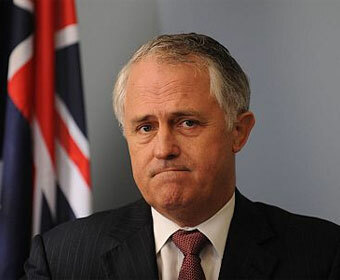 The 57 year-old Turnbull has lost around 14kgs in weight over the last 18 months and now looks fitter than the proverbial butcher’s dog – but Hockey’s comments would surely have been pushing his blood pressure to dangerously high levels. In a later clarification to respected Australian IT site Delimiter Hockey insisted that there had been a “deliberate distortion of my use of the word capacity” and argued that he had not been arguing that 4G could match FTTH in terms of bandwidth capacity but had actually been arguing that 4G had greater capacity to compete in the market against fixed-broadband in the residential market. “For many households wireless broadband has the capacity to be superior to fibre to the premises (FTTP) in the broader sense of value for money, convenience, nearness of availability and deployment and many of the numerous other attributes that a consumer might consider when weighing these alternatives,” he argued. Now, let’s be fair here, unlike sad telecom industry aficionados like myself I very much doubt that Hockey – who is after all in a finance portfolio – spends much time poring over the latest LTE plans being deployed by global operators, or spends numerous hours in Qantas economy class schlepping up to Asia to discuss LTE pricing trends with telecom operators. Lucky for him, I guess. However, it was definitely not a smart idea for Hockey to be espousing LTE as a suitable next-generation residential broadband service – because that is the exact opposite direction to where LTE is currently headed in the global market. Regional telecoms giant SingTel only last week announced a major restructuring of its local mobile broadband tariffs, slashing entry-level data allowances from 12GB per month to a paltry 2GB per month – and you can bet it will eventually deploy similar data-caps in its regional affiliates. From July onwards SingTel will charge an eye-watering S$40 per month for its 2GB plan and S$60 for its 3GB data plan, with market rival StarHub also announcing it will scrap its 12GB entry level plan and introduce smaller capped plans ranging from 1GB to 5GB per month – with operators around the world taking similar measures. Indeed, on the same day that Hockey was touting 4G as a serious residential broadband technology US mobile giant Verizon was announcing the details of its new LTE “Share Everything” plans that will launch June 28 and will start at US$50 per month for just 1GB per month of data and going up to US$100 per month for 10GB. Politicians like Hockey probably see the mobile broadband boom over the last few years and think that it has all been wonderful for operators – but he could scarcely be more wrong. The mobile broadband revolution has indeed created massive new revenue streams for mobile operators but it has also cost them, and continues to cost them, a huge amount of money to supply those services by deploying ever more extensive 3G/4G networks to meet the booming demand from subscribers for mobile broadband. Of course, to some extent most operators created this problem for themselves by offering unlimited mobile broadband plans and thereby creating a customer mindset that they should only pay a small fee for unlimited data allowances – and this is the nightmare scenario from which operators are now trying to escape. By bringing in the type of tight data allowances that SingTel has done operators are now trying to re-position mobile broadband in the LTE era back to its rightful position in the market as a mobile broadband solution used for light external usage – with the emphasis on the mobility of the service rather than the broadband element. Let’s be clear here, the vast majority of mobile operators are not really all that keen on selling LTE as a cheap residential service because these are the kind of users who have historically sucked up a whole bunch of very expensively provisioned network capacity – and yet yielded relatively low revenues for operators on a per GB basis. In reality, mobile operators across the world have found is that they are able to generate a much higher revenue per GB from lighter data using Smartphone users than from residential based dongle/Tablet subscribers. That is to say that they generate a far greater yield from their core resource (spectrum) by positioning it as a premium mobile service than by opening the front door of the shop and letting users run loose with network capacity like bargain crazed shoppers at the Boxing Day sales. To clarify things here I am certainly no starry-eyed fan of the NBN, I have serious doubts about the logistical viability of FTTH in a geographical environment like Australia having seen first-hand the problems in deploying FTTH in far more suitable environments in Asia, but arguing that LTE can play any significant role as a residential broadband service is misguided. True, there may currently be a very small number of households that might prefer a mobile to a fixed broadband connection, but are these households really going to be willing to pay the kind of prices for LTE mobile data services that operators are going to be charging in the future, with high prices for very small data caps and hefty additional usage charges? There are a small number of specialist 4G players in the Asia Pacific market who are indeed trying to deploy 4G as the fixed-broadband replacement model described by Hockey and providing the “mobility, portability and convenience” that he described – but the results of these operator’s efforts are quite revealing. WiMAX operators like Packet One Networks (P1) and YTL Communications in Malaysia have been heavily marketing their services at “cord-cutters” and provide very high quality mobile broadband services – conspicuously marketed as being ‘4G’ – and providing in YTL’s case around 4Mbps-5Mbps connectivity. These operators currently only have a combined subscriber base of around 800,000, from a total 3G subscriber base of nearly 12 million, meaning that their networks are not under anything like the pressure that the 3G mobile operators are – and yet P1 has already opted to sign a wholesale deal with Telekom Malaysia on its FTTH network to relieve the strain on its WiMAX network and YTL has not ruled out signing a similar deal. The bottom line is that although some opposition politicians like Hockey continually argue that “the capabilities of wireless are increasing rapidly, and will increase further before the NBN reaches all Australians,” – in what is a clear inference that the NBN is providing a soon to be obsolete solution – that 4G, whether delivered by WiMAX or LTE, is not a magical solution, it is still just a radio access technology. The idea that someday the laboratory boffins will come up with mobile technology that eliminates the need for fixed-broadband deployment is nonsense, sure mobile broadband speeds will get even faster but – and here is the key – network speed is absolutely not the same thing as network capacity. LTE does indeed offer substantially greater speeds than HSPA or WCDMA but its spectral efficiency is really not that much significantly greater, in the future spectral efficiencies will improve to some degree but ultimately spectrum is still spectrum and is a shared resource that was never supposed to be the conduit for the kind of video and high-bandwidth traffic that users are now pulling across it. The NBN debate still has plenty of twists and turns left in it yet but local politicians must, for the sake of the integrity of the debate and Malcolm Turnbull’s medical health, stop arguing that LTE can be a substantial long-term player in the residential broadband market because the facts tell a very different story.